Step back and consider how far surf lifesaving and its associated sports have progressed in the UK over the last 25 years and one name stands out from the crowd – Pete Gaisford. He’s a modest man but there’s no other way to describe him – he’s a living legend. Pete’s been involved in every aspect of surf lifesaving from his early days on the front line as a lifeguard at Holywell Bay in Cornwall to the heady heights as Chairman of Surf Lifesaving GB. His services to Surf Lifesaving in Britain were recognised recently and he was awarded a well earned Life Membership by his peers. 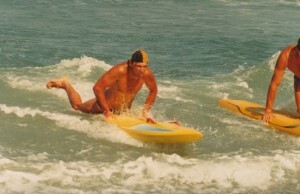 Today, he’s President of his hometown club – Perranporth SLSC and continues to guide, challenge, instruct and inspire a whole new generation of surf lifesavers. As one of the founders of the UK Surf Rowers League and President of the European Surf Rowing Federation he’s swept surfboat rowing in the UK from the backwaters to the point where our leading surfboat crews can compete with the world’s best. His record as a competitor – be that on a surf ski, a paddle board or surging through the waves in a surfboat – is outstanding. Pete is one of the select few to compete in what is without doubt the most grueling open ocean paddle races in the world – The Port Elizabeth to East London Surf Ski Challenge and the 1986 Pye Australian Surf Ski Challenge. When you’ve paddled 260km in 4 days, skin sore and sunburnt – there’s not much you don’t know about how a ski can – and should – handle in the surf. Following the success of the International Lifesaving World Championships at Fistral Beach in Newquay in 1994, he set the standard for future events with the concept of the Survival Ironman and Ironwoman events, introducing surf athletes to a wider TV audience. His ability to organise and innovate events that attract world-class athletes have injected a buzz into the sport that he knows and loves so well. 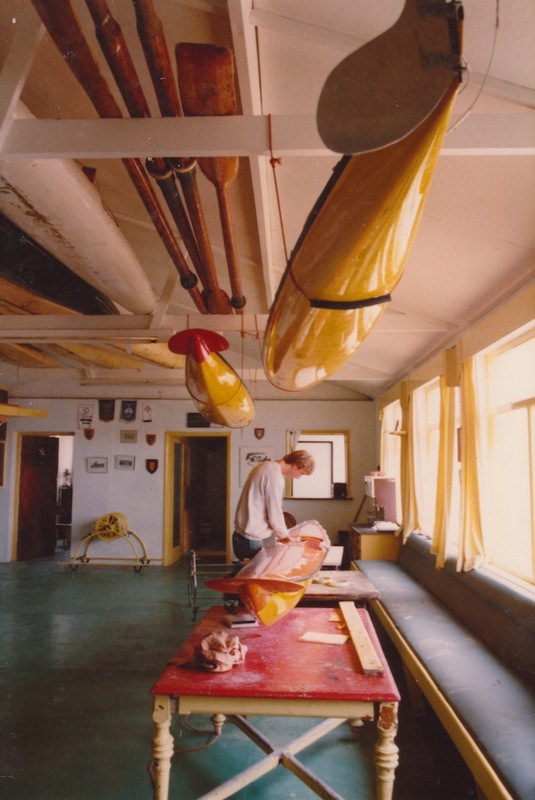 In 1982 he established Gaisford Surf Equipment and became the first UK provider of surf rescue and sports equipment. This helped hundreds of young surf lifesavers to access quality craft without having to struggle to import or make do with second hand craft from Australian or South African suppliers. Today, he sponsors and supports some of our best upcoming sportsmen and women. Pete’s long experience and sea-skills are combined with outstanding designs and manufacturing expertise to craft surf skis & boards that will race superbly – and last a lifetime. His reputation for reliability and service are just a couple of reasons why Gaisford Surf Equipment is the leading provider of rescue boards to the RNLI.